How do you visualise all the modules in your project? What happens when you project has tens of thousands of modules? Does it look like this? Is the module namespace art? 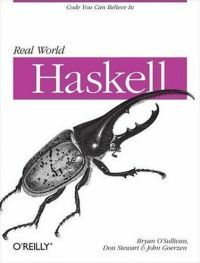 There’s a lot of Haskell code in the world now. 1125 packages on Hackage, made up of thousands of modules, with hundreds of thousands of import dependencies between them. Some of those packages have hundreds of modules. For fun, I wanted to visualise that module namespace. That is, in one image see all the Haskell modules I could potentially use: a panoramic view of the Haskell landscape. Which does a reasonable job of conveying the breadth of the areas we’ve libraries and tools for. Doesn’t do much to convey the sheer number of packages now though. Haskell modules are pretty straight forward. You pick a hierarchical name, like System.IO.MMap, for you module name, hopefully using one of the standard top level allocated names. There are various rough guides to the namespace to try to keep things sensible. Once you’ve chosen a module name, the module itself lives in a file path of the same form. So concrete file in this case would be System/IO/MMap.hs. Others can then use my module – once it is packaged up with cabal – by importing the original name. All fairly straight forward. Modules may import each other mutually recursively too, which is fun. For small graphs, this does a pretty good job of summarising the import dependencies of the project quickly. Useful for summarising quickly how your project works internally. So all I have to do is glue these together with a script to grab .cabal files from the network, parse them, then render them in .dot format. An hour later we have a new tool, cabalgraph. Given a list of any of: a directory with a .cabal file inside it; the path to a .cabal file; or the URL of a .cabal file, it will parse all those .cabal files, extract the module names, and then render the combined set as a graph in dot format. (Yes, a Haskell app that does network stuff, text transformation, parsing, blah blah made by gluing libraries together!). While I was here, I also put together lscabal, for just listing the exported modules from a cabal package. The module namespace carries a lot less information than the full import dependency graph, so we should be able to view larger projects without getting too overwhelmed. So there’s a bit of a culture that’s built up around the bytestring library. xmonadcontrib is very well regulated, and growing smoothly. It’s kind of beautiful. You see the big parts of the namespace (like “Data”, “System”, “Control” and “Text”) have lots of modules under their control, so much so that the modules become a fuzzy cloud of black. Then there are smaller parts of the namespace, until we’re just looking at single, freestanding modules not connected to any other part of the namespace. So much code. This one is like looking down on the namespace from above. A topological map almost, where you can see the big peaks of the namespace. You can try rendering this graph yourself using these .dot files constructed with cabalgraph, and some .svg files for the big images (rather then rendering big .pngs for them). The general process I used here was cabalgraph to construct the big dot files, then graphivz to generate various renderings, with inkscape and gimp at the end to get them into a .png format. Hope you enjoyed all that. Nice! But what I would really like to do is look WITHIN a module and see how functions depend on one another. Then integrate the graph generation with the output from the profiler, and you get a really clear visual representation of bottlenecks in your code. That is pretty cool alright. That big graph with the “clouds” is seriously cool! Your “cabalgraph” app seems similar to part of what my SourceGraph app does (which I’m going to extend and fix up, as soon as Matthew Sackmann approves my changes to his graphviz library).